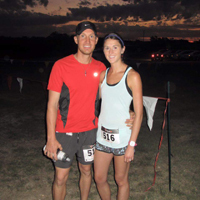 Rough Creek's "Meet The Winners"
1) Why should runners be interested in running Rough Creek?
" It is such a unique and challenging course. Rough creek lodge is the perfect venue for a fun day on the trails and also the post race hang out." 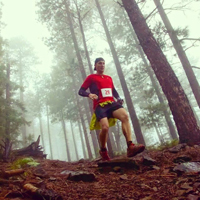 2) What advice do you have for runners to be successful at Rough Creek? 3) Tell us a memory from your race at Rough Creek. You won’t see Brian sprinting up and down the Rusty Crown this year. That weekend he’ll be taking on the Wasatch 100 Mile! Good luck, Brian!